First Annual Half-Marathon Run in Syracuse is a Hit: I also had a chance to run in the First Annual Syracuse Half-Marathon. If you are a runner, I thought this course was very well laid out and organized extremely well. With some hills thrown in, I can see this event becoming a Syracuse staple. Thank you to all of the different police agencies, emergency medical personnel, and event organizers! Teacher/Administrator Accountability: If you are fortunate enough to have a job (or are retired and remember your job), imagine what it would be like to come to work every day to accomplish whatever task it might be but not have all of the tools available to complete that task. Then imagine the feeling you would have when you are evaluated for having to hit a bunch of company goals, even though you have not been given all of the tools to do the job. You try and try, because that is what you do. You absolutely never give up, but the stress mounts and mounts. Then you wake up. A nightmare? That is every day right now for our teachers and administrators. When I started teaching almost 20 years ago, I was able to take a curriculum guide provided by the state, close my door, teach however I wanted to, and produce results. I was fortunate to have had success as a teacher, but no one really cared. I cannot even remember a time when a parent or student challenged me over a grade. No joke. I was criticized for being a teacher by others in the community, because I "only worked 180 days a year" and was under no external pressure to perform while others working a manufacturing line, treating patients, handling lawsuits, and developing products were under tight timelines and had incredible accountability to perform. Believe it or not, I understood their position even though I did not agree with their position. It was next to impossible for me to explain just how challenging teaching can be considering we are not "manufacturing" one type of product. I had pressure to deal with, my OWN internal pressure to make students perform and that is what had driven my success in the classroom. Our teachers and administrators have always had that same internal pressure to perform as well. Fast forward to today. Education is MUCH different and now there is accountability and an incredible amount. Resources are NOT available to work with our students to the fullest extent; not because of funding, but because New York State has been slow to release the resources teachers need to do their jobs to the fullest. Evenings, weekends, and vacations are now full of planning, grading, more planning, and research to try to find the right set of instructional tools to meet the new common core standards. Summers are spent pouring through student data and attending professional development sessions to be ready for the fall. My teachers and administrators ARE living and working the same lives that everyone else in the work force has been living. The playing field is leveled. Not looking for sympathy or a break for my teachers or administrators, just recognition that they are now grinding just like you. They will still outperform others in their profession like they always have and they will do so with smiles on their faces. Bottom line is... if you see a teacher or administrator, now is the perfect time to give them some words of encouragement; they certainly DESERVE it. Enjoy the week, have a wonderful spring break, and I will report out again on the flip side. March Madness and Budgeting: If you are a basketball fan (or not but just know about "March Madness"), chances are good that you will be filling out a bracket (for entertainment purposes of course) to determine who you think will win it all. You might use your knowledge of the game, uniform color, favorite team, or location of the games to guide you towards your eventual champion. The fact is that you have NO control over the outcome. If you get to the last game and have picked the winner, about the most credit you can take is that you took an "educated guess". Imagine if you planned your home budget or if we planned our school budget based on the logic of March Madness brackets. Each year we would be on the edge of our seats wondering if at the end of the school year our budget was balanced. If it wasn't, we would be stressed out. If it was, we would be jumping up and down with happiness. A roller coaster ride for sure. Thankfully, there are solid financial practices that we can use at home and here at school so we never get too high or too low when we are creating financial plans. Most times we expect our plans to work the next year and the year after. We are living in that plan at school right now. Slow and steady wins the race. Slow and steady also doesn't make for good news or headlines, but it does make for less stressed staff, adequate resources for our students, and the ability to plan for the future. I LIKE this kind of March Madness! Snow Days and the Calendar: Looks like another decent weather week as we get closer to spring. I wanted to let you know that as we begin to move out of the nastier weather and into the nicer weather, we need to change our school calendar slightly to accommodate various contractual obligations related to snow days. Because we have only had one snow day (so far) students will not report on Monday, April 8 (staff does report); and students and staff will not report on Friday, May 24 or Tuesday, May 28. If we have another snow day between now and June, I will let you know if there will be any additional calendar updates. This is going to be a great week. I get to read to a few classes, attend a Career Fair, check out a science fair, and of course visit all of our buildings as I always do. 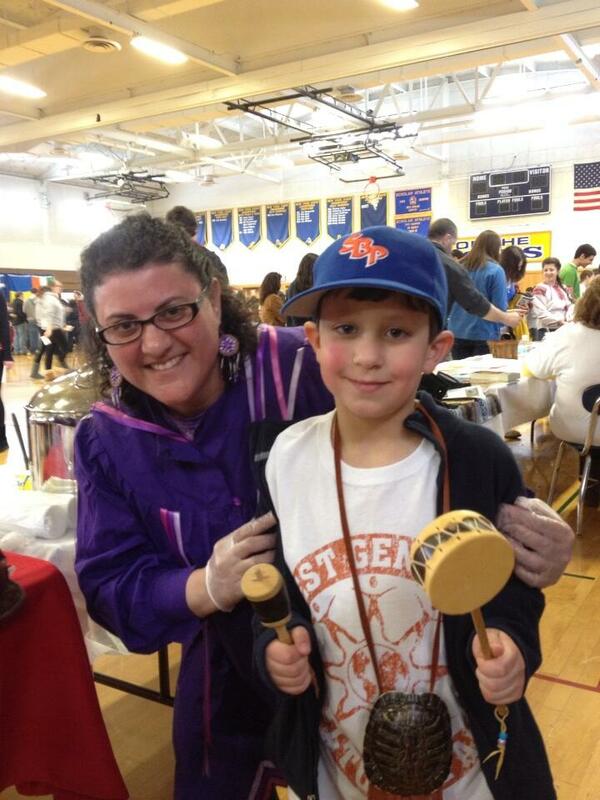 The week will be capped off with our Culture Fair at the high school on Saturday, March 23. A great event that you should take the opportunity to attend. C.O.D.E. : Last week I had the opportunity to attend the Community Oriented Drug Education ceremony for both Stonehedge and East Hill elementary Schools. This is an important program that all of the elementary schools in the District participate in, and I especially enjoy going to the ceremonies and seeing our students graduate. Over the Weekend: Well we certainly had our share of things to choose from over the weekend! St. Patrick's Day Parade, Monster Trucks, 3 on 3 Basketball Tournament at school (thank you Save Modified Sports! ), warmer weather, and a fundraiser for a school family. 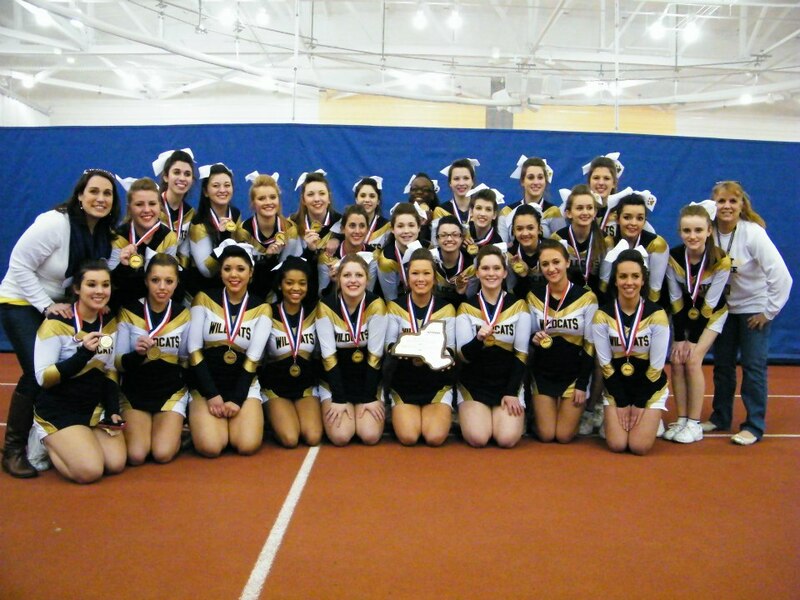 A HUGE congratulations goes out to our cheerleaders who won the Western New York State Large School Division Championship. Budget Presentation: Thank you to all who were able to attend our first budget presentation last week. If you were unable to attend, you can view the presentation by clicking here. I will be presenting the budget a few more times before the actual budget vote on May 21, but if you have questions in the meantime please feel free to e-mail me at cbrown@westgenesee.org or 315-487-4682. Thank you for your continued support and it felt good to finally be able to present a more positive spending plan again! A Musical Month: This is "Music in our Schools Month", and if my count is correct, we have eleven concerts over an eighteen day period. Thank you to Mr. Davern and all of his staff who have created an environment where parents can come together and enjoy the talents of their children. Our "concert calendar" can be found on our website from the home page online events calendar, and if you missed a concert and would like to watch it, just subscribe (for free) to http://www.livesportsvideo.com. Most of our shows can be found there. Communication Makes a Difference in Athletics: My boys are old enough now where I can probably tell this story without them being upset. A long time ago when they were little, and I was coaching their minor league baseball team, I was standing in the dug out, and had a typical Sports Center moment; bottom of the 7th (the last inning), two runners on, two out, and we were winning by one run. My younger son was on the mound facing an older player who had fouled two balls off and was waiting to crush one. Time froze. I couldn't hear anything because of the adrenaline running through my veins. Everything got quiet. My son wound up and pitched a "heater" right down the middle. The batter took a huge swing and I heard "STRIKE THREE" come from the umpire. Game over! My son was the winning pitcher, got the game ball, and we piled in the car and headed home (stopping for ice cream first of course). We got out of the car at our house, he went and took a shower and then played video games. He didn't say much. I, however, was still shaking from the win. Then it hit me like a ton of bricks; that game and win was more important to me than it was for him, and that was wrong. I realized that for years I had been putting a ton of pressure on him to the point where a huge win didn't mean much. He was just happy that the game was over. Not good and completely my fault. I stopped coaching my kids after that season, and I have stayed away from coaching ever since. That was tough. I had coached all kinds of sports in my younger years from T-Ball right up through Varsity Boys Basketball with almost everything in-between. My teams were successful. "I" really enjoyed that time. I still get pangs sitting in the stands watching my children play sports today. Should they be playing more? Less? Are they in the right position? Are the right people out there with them? Is the coach not playing, or playing my kids because I am the Superintendent? I am sure the coaches love me. This is about the point when my wife kicks me and tells me to knock it off. She is right. This is their time. I had my chance and my time and that was long ago. They have been happier children both on the court, field, and at home since I realized that keeping my big trap shut makes them relax and actually perform better. Why did I take all of this space to write about my experiences? My job is to create an environment for our students that is safe and creative so that our professionals can bring out the best in them, and they in turn can bring out the best in themselves. Mike Burns, our Athletic Director, and I have taken the past two years to evaluate our athletics program. We are a large, competitive, AA program. We have been fortunate to find success in many of our programs, and many of our student athletes have had collegiate doors opened by their experiences playing high school sports at West Genesee. Some haven't but still talk about being a part of the team long after they graduate. Athletics can be intense from tryouts right through the end of the season. The philosophy that I have always used as a Superintendent is; at the Varsity level we play to win and that means using student athletes that will help us to achieve our goals no matter who they are or what grade they are in. That can be tough. Starters one year can be subs the next. Our players, coaches, and parents feel this pressure at times and sometimes emotions boil over (been there, done that, have the T-shirt). Instead of ignoring this part of athletics, like most schools do, we want to find a way to remain as competitive as always while taking some of the edge off. We feel that communication plays a huge role in this process. Our Junior Varsity, Freshman, and Modified Sports are a little less stressful on our athletes, coaches,and parents because everyone gets an opportunity to participate. Over the course of this summer, we are going to produce a new and improved Athletics Handbook. The handbook will contain new guidelines for our coaches, parents, athletes, and fans. This will help us to continue the positive experiences that we have had, but will also create better guidance for expectations, communication, playing time, behavior, chain of command, and accountability, for all. Misunderstandings and poor communication create problems for all, which is the last thing we need or want. We are West Genesee. At the end of the day we want the coaches to be able to coach; the players to play; and the fans to be able to cheer and have fun. We are committed to this process and will keep you posted as we create "Athletics 2.0" at West Genesee. Here's to warmer weather, springing forward, and green grass! Have a great week! Superintendents Network and Learn: Last week I had an opportunity to attend a conference with superintendents from across the country. The conference is "invite only", and the purpose is to network, learn from each other, meet with developers of curriculum and technology, and find out just exactly what is happening on the “ground” in all fifty states. This conference plays a large part in our ability at West Genesee to stay ahead of the curve in just about every area because I have the unique opportunity to see initiatives succeed and fail long before they reach New York State. This year I learned that we are at least a few years ahead of total state school budget failure much in part due to our state officials placing a higher value on education than their counterparts in other areas of the country. We have had some state aid reductions in New York that have forced us to make some challenging decisions over the past few years, but I spoke to more than a handful of school leaders who are completely out of money THIS year. Their states have no plans on how to handle these situations, so these school leaders borrowed millions of dollars this fall just to get through THIS school year knowing that they have no money to pay the loans back. They intend to do the same again next year unless they are given some relief, or the states step in and force them to do something. The number of regional schools is growing at a much faster pace around the country than in New York in direct response to poor economic conditions. While West Genesee has around 5,000 students, I spoke to many other school leaders who were operating districts with populations between 18,000 and 400,000 students. In these larger districts, class sizes were in excess of 30 students in most cases. Certainly interesting. I also learned that Charter Schools, specifically online virtual Charter Schools, were causing substantial problems in states where they are allowed. In some of the states where a complete online school is an option for the student, the state is paying up to $26,000 for each student in “attendance” versus about $13,000 for the traditional “brick and mortar” equivalent; and the states have only one “pot” of money for schools. I will be keeping a very close eye on this as our Commissioner explores the feasibility of complete online programs in New York State. On the positive side, it appears that New York State is well ahead of others when it comes to the professional performance review process. Local schools have clearly been given more flexibility than counterparts from other states. 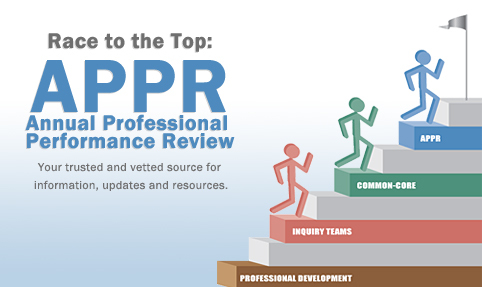 Most states officially begin the performance review process next year, while our schools will be going into year two. The take away for me was to try and keep as much local control over this process as possible and not let the state totally dictate how we are going to evaluate our faculty and administrators in the future. 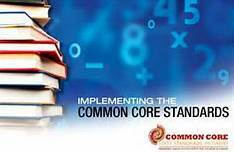 I would also say that schools in New York are doing a much better job implementing the new Common Core Learning Standards. The biggest advancements in this area will be better access to aligned curriculum from publishers, much better digital content, and less expensive pricing structures for moving to a more digital environment for our students. My opinion is for us to continue to build up our wireless capabilities and work with vendors to try to find attractive leasing or purchasing options for equipment for our students to use in classrooms and at home. A day is coming in the not too distant future where the student will have one learning device that will contain everything they need for every class, and I saw some interesting prototypes. Lastly, I had an opportunity to speak with the former Governor of Massachusetts, Jane Swift. She is actually the CEO of a software development company now, and we spent about two hours talking about how budgeting for schools REALLY works from the state level. Needless to say, I received an awesome education and can use the information as I quietly lobby and leverage for West Genesee. It Happened Last Week... While I was gone, I did miss a few things. For starters, I missed the opening rounds of the Optimists Speech contest. Our winners at the middle school level were Mark Kopp and Helene Ferner from WGMS; Jesse Elmer and Hannah Gavin from CMS. I am looking forward to hearing them, the runner-ups from those competitions, and the representatives from the high school (John Buttner, Alyssa Power, and Ayla Yagan) as they advance to compete at the next level this week. I also missed the Mr. and Miss West Genesee event, but I am really pleased that Kevin Schoeneck and Emily Barriere were successful. I was also very happy to hear that they extended their congratulations to the other candidates, as they were great choices as well. Having so many Twitter followers came in handy though because I was kept up to speed in real time as both events unfolded, so it felt like I was there. The Week Ahead... Very busy week ahead, but looking forward to it. Our first budget presentation is on March 6 and the presentation will be on the District website on March 7. Long story short, is that we will have all of the resources necessary for redistricting and full-day kindergarten, will not need to cut any positions due to the economy, will use fewer reserves than we did last year, will make some restorations to fine arts and modified athletics, and will have a tax levy that is well below the tax cap for West Genesee. Our resulting tax rate will also be the lowest in the county. Through planning and working together, these past few years we have become very fortunate. Thank you.